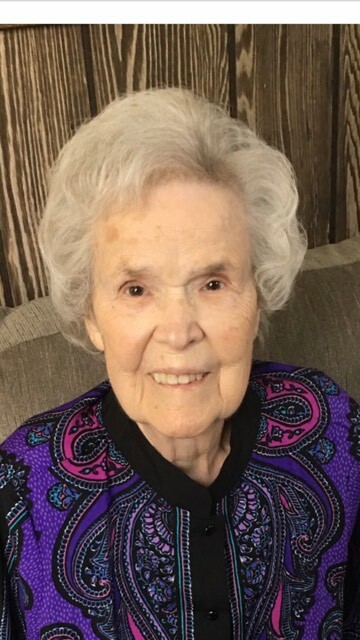 Margaret Ellen Haney, 91 of Hepzibah passed away on Thursday, January 24, 2019 at her residence with her family by her side. She was born September 1, 1927 in Erie, WV, daughter of the late Howard Wesley and Iota Marie Powell Shawhan. Margaret graduated from Victory High School, Class of 1945. She retired from C&P Telephone with over forty years of service. Her hobbies include: sewing, quilting, crocheting, gardening and traveling. She was a devout member of the Bible Baptist Temple in Stonewood. Margaret devoted her life to serving her Lord and could often be heard asking others if they knew Jesus. She was also a supporter of Camp Faith in Shinnston, where she contributed physically and financially. Margaret is survived by five nieces, Charlene Wolford, Charlotte, NC, Brenda Conley (Edwin), Ravenswood, WV, Kimberly Woolwine Pierce (Donnie), Garner, NC, Cindy Morris (Carl), Morgantown, Stephanie Byeler (Jeff), TN; two nephews, William Bartlett Jr (Gloria), Charlotte, NC, and John Quickle, Clarksburg; numerous great nieces and nephews. In addition to her parents, Margaret is preceded in death by her husband, Berdell H Haney; three sisters, Billie Lee Shawhan, Cora Quickle Knapko (Earl, Frank) and Mary Bartlett(William); one brother, John Shawhan (Betty); one nephew, Earl “Pete” Quickle, Jr.
Family will receive friends at Davis Funeral Home, 124 Olen Thomas Dr., Clarksburg, on Sunday, January 27, 2019 from 1-7 pm; Funeral Service will be held in the Chapel of Davis Funeral Home on Monday, January 28, 2019 at 11:00 am with Pastor Charles V. Madaus officiating. Interment will follow at Floral Hills Memorial Gardens. In lieu of flowers, memorial donations can be made in her memory to: BBT Camp Faith, 321 Sugar Camp Rd, Shinnston, WV 26431. Online condolences may be sent to DavisFuneralHomeWV.com. 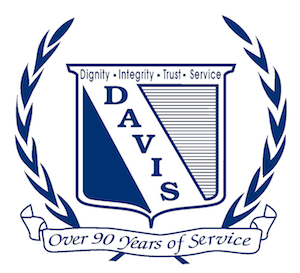 Davis Funeral Home is honored to assist the Haney family.